the fontus self-filling water bottle by kristof retezar, collects the moisture contained in air and condenses it as safe drinking H2O. 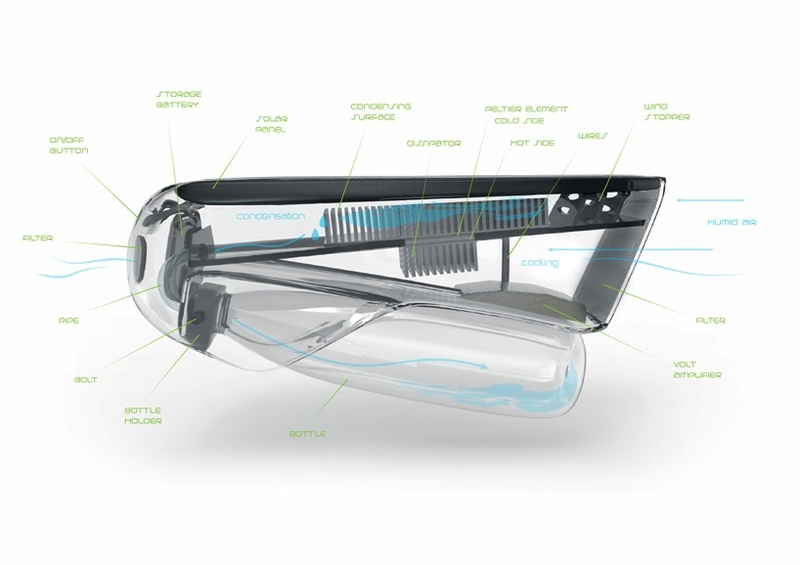 the device harvests up to 0,5 liters in an hour when under the right climatic conditions. 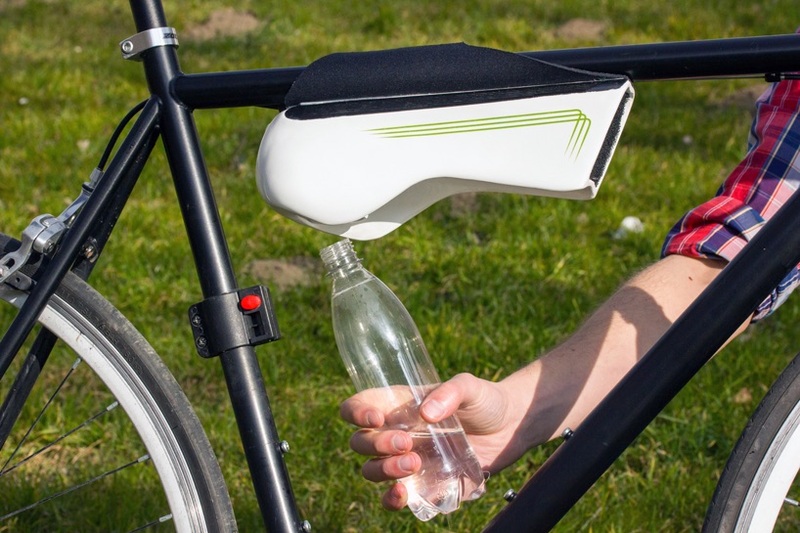 it is useful for long bike journeys as well as in world regions where freshwater is scarce yet humidity is high. 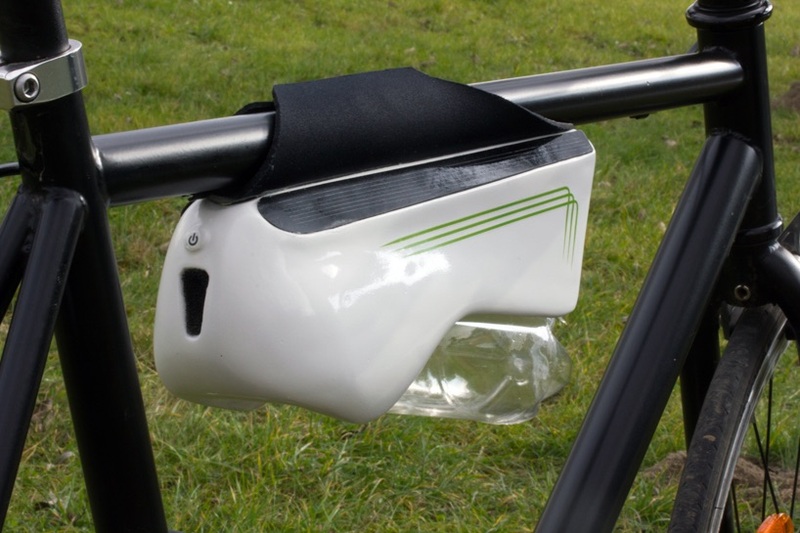 The bottles can be turned into a vertical position and loosened divided-in-two peltier element cooler is powered by solar cell energy to cool down the upperside and heat the bottom. wind enters the lower section at high speed and cools it down. the air then moves to the upper chamber where it is stopped by little perforated walls in order to separate the particles. the droplets then flow through a pipe to be stored in a container.